For anyone who has ever even heard the word “cryptocurrency” before, the first thing they tend to think of is Bitcoin. Having first gotten its start in 2009 and having become more or less a household name by 2013, Bitcoin is the most popular cryptocurrency out there. What most of these people don’t know, however, is that Dogecoin made an appearance shortly after the Bitcoin revolution. 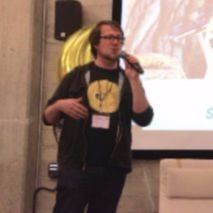 Dogecoin was officially introduced towards the end of 2013 and is the brainchild of a man named Jackson Palmer, though he enlisted the help of a programmer named Billy Markus, from Oregon. Palmer and Markus wanted to create a cryptocurrency a lot like Bitcoin, but with the ability to reach everyone rather than a select group of people. In the same breath, they wanted to create a cryptocurrency that was known for more than being the vehicle by which people get their hands on illegal drugs and weapons. To provide insight, Bitcoin was initially viewed by many as a negative thing due to its use on the Silk Road—a website where many illicit items were bought and sold via Bitcoin. It didn’t take all that long for the Dogecoin dream to become a reality, and the rest is history. Compared to Bitcoin, the value of Dogecoin is quite small. Despite an initial surge of value that happened shortly after the currency was introduced, the value of a single Dogecoin is nothing more than a fraction of a USD. In the middle of 2017, the value of a single Dogecoin jumped once more, but we are still talking about a price in and around the range of $0.004/Dogecoin. With that being said, the sheer volume of Dogecoins that have been mined and are going to be mined in the future helps explain the small value per coin. 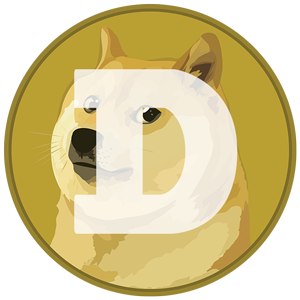 Compared to Bitcoin, of which there will only ever be 21 million, there are hundreds of billions of Dogecoins. As far as the total market value for all Dogecoins in existence right now, that number is around $400 million. So, while you and many other people may not take Dogecoin as seriously as Bitcoin and other currencies, the fact of the matter is that it is beginning to make a real name for itself. The best thing about Dogecoin is that even the smallest Bitcoin knowledge will help you understand how the currency works. Even if Bitcoin is an entirely foreign concept to you, there is no need to worry because it will be fully explained right here. As far as the actual using of Dogecoin is concerned, it can be used just like you would use US Dollars or any other type of currency. The main difference being that Dogecoins exist solely online, and can never be held or exchanged like paper money. The currency exists by way of something known as a blockchain. The blockchain is the driving force behind Dogecoin and is what helps keep everything in order. When Dogecoins are traded, or exchanged, between users, all of these exchanges are kept in a public ledger that everyone can see. This is a bit different from traditional banking transactions, which are normally only viewed by the parties involved in the transaction. Though every Dogecoin exchange is public information, the names behind each and every transaction are known only to the people involved. This way, while you may be able to see that a Dogecoin transaction has taken place, and can verify the amount of Dogecoin exchanged, you will have no way of knowing who was on the giving and receiving ends of these transactions. In order to purchase Dogecoin, all you have to do is go to an online cryptocurrency wallet and create an account. Because they are, in almost every way, the exact same thing, you can think of cryptocurrency wallets like you would a PayPal account or your online bank account. Once you have created an account, you can use that wallet site in order to purchase Dogecoin. From that point, you would purchase Dogecoin with a currency like USD just like you would purchase any other good or service. Once the purchase is made, your Dogecoins can be stored in your wallet until you want to sell them, make a purchase, or anything else. Another way to acquire Dogecoin is by way of sites like Reddit. In the online community, Dogecoins have been given to people as a reward for providing funny content. For example, if someone makes a funny video that a lot of people enjoy, it is becoming increasingly commonplace for that person to be given some Dogecoins in exchange for their content. It is a lot like “liking” something on Facebook, but instead of a thumbs up, the user is being given a currency that they can go and use however they see fit. When it comes to the fees tied to Dogecoin, this is something that depends entirely upon the wallet you are utilizing. Just like PayPal may charge fees that are different from other e-wallets, a wallet like Coinbase may charge a fee that differs from a wallet like Kraken. Typically, the more well-known and trusted a wallet is, the more expensive it is going to be to use. With that being said, the term “expensive” is a relative one, because the fees involved with Dogecoin transactions tend to be quite small. When it comes down to it, the fees you pay are typically in line with the amount of security the wallet boasts. Sites like Coinbase and Bittrex are some of the best in the industry and generally have a high level of security, as such they are also some of the most expensive sites to use. If you store your Dogecoins on a device known as a Trezor, the fees you pay will be substantially smaller. Trezors are a lot like external hard drives and allow you to possess Dogecoins off the internet. This keeps your coins safe and away from any hackers. When it comes to the privacy provided by Dogecoin, this is something that is determined by you and you alone. In most cases, how private your use of Dogecoin is can be directly linked to how private the wallet/exchange you are using is. The more personal information you have to give to your wallet, the more personal information there is out there that can possibly fall into the wrong hands. As was mentioned above, a Trezor is a good device that allows you to make use of Dogecoin while simultaneously remaining entirely anonymous. Coinbase and Kraken are two of the leading Dogecoin exchanges out there. As you could have probably guessed from its name, an exchange is a site that allows you to buy, sell, and trade cryptocurrencies. The exact exchange you utilize is something that depends upon your wants and needs, but it is important that you verify the ability of the exchange before using it. When we say this, we mean that you need to verify whether you are using an exchange that only allows transfers of cryptocurrencies, or one that can allow you to buy/sell cryptocurrencies for traditional currencies such as the USD or CAD. When it comes to the liquidity of Dogecoin, this is something that is still evolving. While it is incredibly simple to turn Dogecoin into traditional currencies, there are not a wealth of sites that are willing to accept Dogecoin as payment for goods/services. With that being said, the number of retailers and businesses accepting Dogecoin is growing all the time. In fact, there are sites popping up all the time which are aimed at solely providing a retail outlet for cryptocurrency shoppers. 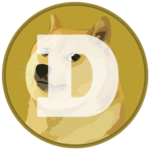 Since its inception, there have been plenty of stories and noteworthy events surrounding the use of Dogecoin. One of the biggest events occurred barely a month after the currency was officially introduced. At this time, the Chinese government announced that they were forbidding Chinese banks and financial institutions from investing Yuan into Bitcoin. Being that China was one of the biggest Bitcoin hubs in the world, people flocked from Bitcoin to Dogecoin as a response. This helped spike the price of Dogecoin, at least for a short period of time. In addition to this, there were a few wallet hackings, but this is not something unique to Dogecoin in any way. In fact, it is not even unique to the financial sector of the global economy, seeing as people are attempting to hack bank accounts every single day.